High-end components and careful US setup make this rocker a a road-worthy choice. 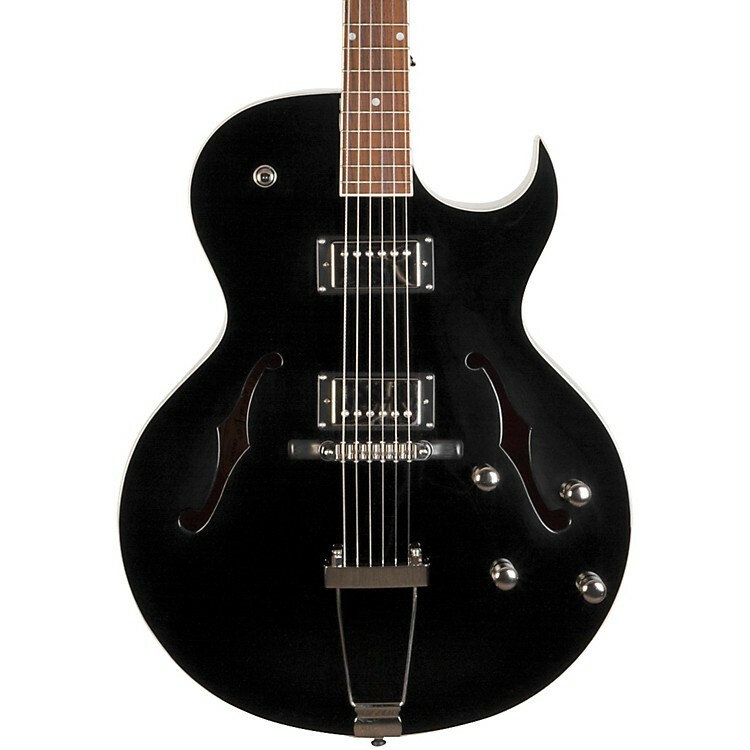 The LH-1280 is a professional-grade fully hollow archtop guitar. The Loar's California workshop custom-wires each 1280 by hand. Seymour Duncan Seth Lover humbuckers deliver classic PAF sound, and are combined with CTS pots, Orange Drop capacitor and Switchcraft jack for top-shelf tone delivery. High-end components and careful US setup are the perfect combo for this premium roadworthy instrument. The Loar workshop has installed a volume kit on each 1280 to help eliminate muddiness when players roll back on the volume knob. To make sure the guitar is stage-ready right out of the case, the fretwork and setup is all done in the US workshop as well. This guitar is ready for any musical challenge you can throw at it. The 24-3/4” scale will be familiar to players of vintage electrics, and the 1-3/4” bone nut and TonePros tune-o-matic floating bridge give it powerful punch and singing sustain. Bridging the gap between jazz, rock, and blues, this versatile archtop from The Loar does it all; smooth clean tones alternate with heavy crunch all packed in a classy tuxedo of a guitar. Case sold separately. Enjoy this versatile and vintage-style guitar. Order today.